The Scottish Environmental Protection Agency (Sepa) said these locations had been rated at risk, poor or very poor in a 2016 compliance assessment. Conservation group Scottish Salmon Watch (SSW) yesterday named the farms after obtaining documents from Sepa following a Freedom of Information request. SSW director Don Staniford said: “Salmon farms across Scotland are riding roughshod over environmental regulations. “Even the best salmon farm Scotland has to offer – Marine Harvest’s Loch Leven farm championed by Prince Charles and certified by the Aquaculture Stewardship Council – has been officially ranked by Sepa as ‘poor’. How embarrassing. Shame on Scottish salmon. “Expanding salmon farming in Scotland yet further, with a doubling or even trebling by 2030, would be sheer lunacy. He added: “Scottish Salmon Watch can now reveal that Scottish salmon’s worst operator is Norwegian-owned Scottish Sea Farms with 10 fish farms failing Sepa’s compliance assessment in 2016 – with nine farms assessed as “poor” and one as “very poor”. All four firms, who were contacted for comment, are members of the Scottish Salmon Producers’ Organisation (SSPO). Julie Hesketh-Laird, chief executive of the Scottish Salmon Producers Organisation, said: “The salmon farming industry takes its environmental responsibilities very seriously. “Sepa’s 2016 compliance assessment scheme results published in October 2017 show that 85% of all Scottish salmon farms were rated excellent or good. 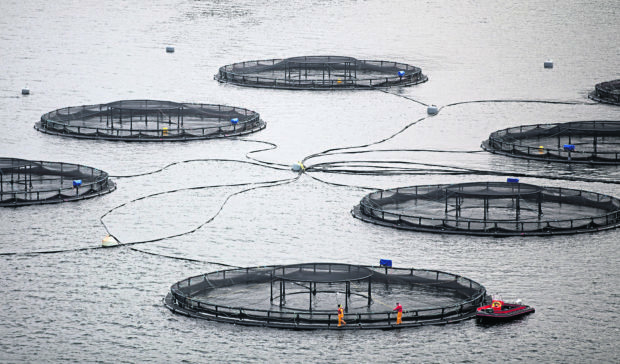 A Marine Harvest spokesman said: “The 2016 non-compliance at Loch Leven was not related to a significant environmental issue, but rather a non-compliance in cage configuration.